The season is upon us. Those still looking for their right choice in 2019 might consider a few bats that rarely make it to the top of any best seller list. Our experience isn’t because those bats are bad but, instead, because they are forgotten. We put 6 bats in the baseball space below that we think are way under represented in the marketing literature. They deserve their place up among the best. As the BBCOR standard reaches it’s 6th year we find ourselves wondering what bat companies will think of next. The standard appears to be met by a number of bats. The conversation about feel and sweet spot length is still legitimate so the arguments carry on. Still, though, there are a few bats that are way underrepresented in the marketing push and your facebook feeds. Here are our top 2. The DeMarini Voodoo Balanced gets pushed too far in the background. It has received no where the buzz the Meta Prime (which has been off the chain this year—and we named the best BBCOR bat back in October). But, in terms of feel, sound and performance you’ll struggle to find anything better than the Voodoo Balanced. Granted, the bat isn’t an unknown. But, we’d guess, too few give it a chance and are too quick to pounce on some big barreled two piece composite. Our estimate is the BBCOR Voodoo Balanced is half as popular as it should be. See our Voodoo Balanced Review. If what you want is a well priced BBCOR bat that will get the job done then look no further than the 2016 Easton S500. Granted, this bat has been around for a while. But Easton keeps making them and places like DSG keeps selling them. The bat is well under $100 and well stocked. If you want a BP bat or a game bat for budget conscious player don’t hesitate. This bad boy works. And rakes. See our full Easton S500 Review. In the 2nd year of USA bats companies have clamored for your dollars. No bat, quite frankly, has set the bar well above any others. There are more than few that have not got the fair amount of press and push they deserve. Here are our top two in that regard. (See our list of best USA bats). There is no reason to hate on the 2019 Rawlings 5150 USA Bat. It is priced reasonably, feels great and gets stellar ratings. Don’t expect some world beater here. The most popular bat on all of Dicks Sporting goods is the 2018 DeMarini Uprising. Granted, this isn’t a 2019 bat. But in terms of the price point and the fact it didn’t change at all from 2019 you can consider it a great buy. DSG is absolutley blowing these things out (at the time of this writing) and you won’t find a better value buy on a drop 10 in the space. Don’t hate to hard on the 2 1/2 barrel. The sweet spot is perfect for those in the rec space looking for a legit deal on a good named bat. But, do expect a really good feel for a single piece aluminum. Our tests showed, when you square one of these up, you’ll hit it as hard as any bat in the 2019 USA class. See our full set of USA Reviews here. The forgotten baseball bat category seems to be the USSSA big barrel space. Although, still, lots of young players use the bats in this league. 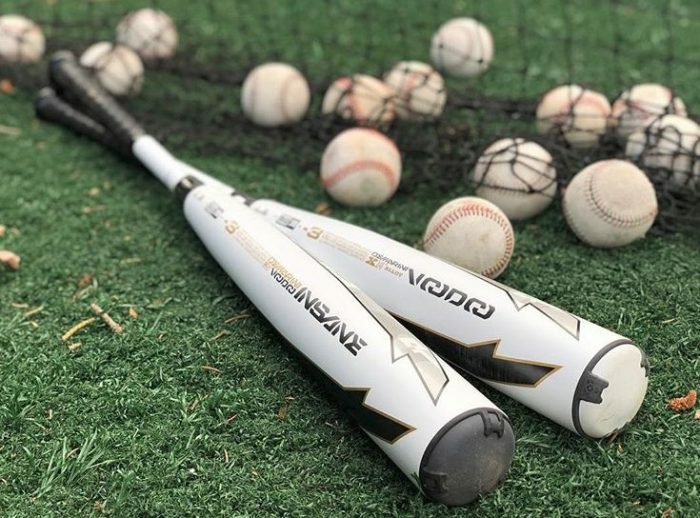 Many of the 2019 USSSA bats didn’t change much from last year but there are still more than a few that fly under the radar. Here are two you likely didn’t consider but should have. Don’t hesitate on the axe handle. Any disgruntled round knob folks who don’t like it need to mail their complaint to 2014. The handle works, feels great and works. Turns out, too, the Axe Elite 1 is a legit single piece aluminum bat with a decent price point. These bats are way under represented in the USSSA space that is dominated by the Zen. If you are looking for a legit deal on a bat virtually no one has heard of then go for the Elite 1. The USA version and the BBCOR versions of the 619 solo are outstanding. Hitters love the light swing and smooth smash of this big barrelled single piece aluminum bat. So, why doesn’t the 1.15 USSSA version get as much traction? The ratings aren’t any different for this version of the bat. Our exit speeds showed seriously good results. Younger and smaller hitters saw a real increase in bat speed. Granted, we do wish the price point was down a bit. But, in terms of a bat that most never considered then the USSSA 1.15 might win as the most under represented bat on this list. Those in the sub $200 price point for a new USSSA bat should really consider it.